A North Carolina rehab program promised recovery, free of charge, to people struggling with drug addiction. When they arrived, they were put to work without pay at adult care homes for the elderly and disabled. Jennifer Warren has spent years recruiting the poor and desperate to her drug rehabilitation program in the mountains outside Asheville, North Carolina. She promised them counseling and recovery for free. When they arrived, she put them to work 16 hours a day for no pay at adult care homes for the elderly and disabled. Thrust into the homes with little training or sleep, the rehab participants changed diapers, bathed patients and sometimes dispensed the same prescription drugs that sent them spiraling into addiction in the first place. For some, the temptation proved too great. They snorted prescription pain pills, swallowed droplets of morphine from used medical syringes and peeled fentanyl pain patches off patients and sucked them to get high. Then there were the allegations of assault. At least seven participants from Warren’s program, Recovery Connections Community, have been accused of sexual misconduct or assault of patients at the homes. Former participants and workers said no one reported the incidents to social services, as required by law. The accused continued working or were simply transferred to another care home. Amid a nationwide opioid epidemic, treatment remains out of grasp for most people struggling with addiction. Those with wealth and insurance often are able to pay thousands of dollars for private long-term programs. But the less fortunate have become easy prey for rehabs with a tantalizing promise: freedom from addiction for free. To pay for their stay, participants must work full-time jobs and surrender their pay. An ongoing investigation by Reveal from The Center for Investigative Reporting has found that many programs exploit this arrangement, providing few actual services while turning participants into indentured servants. In North Carolina, Warren has turned her nonprofit rehabilitation program into her personal empire. She worked the people in her program to exhaustion, while regularly vacationing in places such as Paris, Greece and New Orleans for Mardi Gras, according to former participants and state records. She diverted nonprofit donations meant for the program – appointments at beauty salons and concert tickets – to herself and used participants’ food stamps to stock her own kitchen. In addition to working at adult care homes, the 40 or so men and women in Warren’s program have baby-sat her children, cared for hundreds of her exotic pets and cleaned her house. Even after being stripped of her counseling license in 2012, Warren continued to operate her program with impunity. Authorities from four separate state agencies neglected complaints, botched investigations and stood by for years as Warren flouted rules they were supposed to enforce. It was not until Reveal questioned state officials about their inaction that they began taking steps to curb the abuses. Warren, who is 51 years old, declined to answer questions from Reveal. “I have no reason to believe that you will report anything positive about our program or are interested in the people’s success stories, of which there are many,” Warren wrote in an email. Founded in 2011, Recovery Connections Community has grown to include three locations, run from rural homes near Asheville and Raleigh. Hundreds of people have sought help from Recovery Connections over the years. Many are sent there by the courts as an alternative to prison. Others come directly from hospitals, mental health facilities and state-funded detox centers. Richardson fled four months later. She was so scarred by the experience that she vowed never to attend rehab again. When she later relapsed, she said she got herself clean by buying Suboxone on the street. Jennifer Warren – known then as Jennifer Hollowell – was working on a doctorate at the University of Alabama when she got hooked on crack cocaine. She dropped out of her clinical psychology program and at 27 years old checked herself into a residential rehab program in Winston-Salem that required that she and other participants work for free. Warren flourished in the rehab, becoming the director’s assistant once she graduated. “I wanted to be like her, and she became my role model,” she would later recall. But in 2002, after the director left amid allegations that she had stolen money and – former employees said – dated a client, Warren and several other clients decided to start a program of their own. They called it Recovery Ventures. With her flowing blond hair and colorful dresses, Warren projected the image of a free spirit. She described clients as family and would invite them to socialize in her home, which was adorned with fairy figurines and painted bright purple inside. But Warren soon began to cross ethical lines. She instructed her clients to clean her home and care for her growing collection of llamas, miniature ponies and exotic birds. Then she, too, began a romantic relationship in 2008 with a client she was counseling. Phillip Warren would spend the night at her house, and they would kiss around other clients. Dating a participant violated a host of state ethics rules, but when friends and colleagues tried to intervene, Jennifer Warren crumpled into tears. Undeterred, she moved up Phillip Warren’s graduation date and moved him into her house. The two married years later. 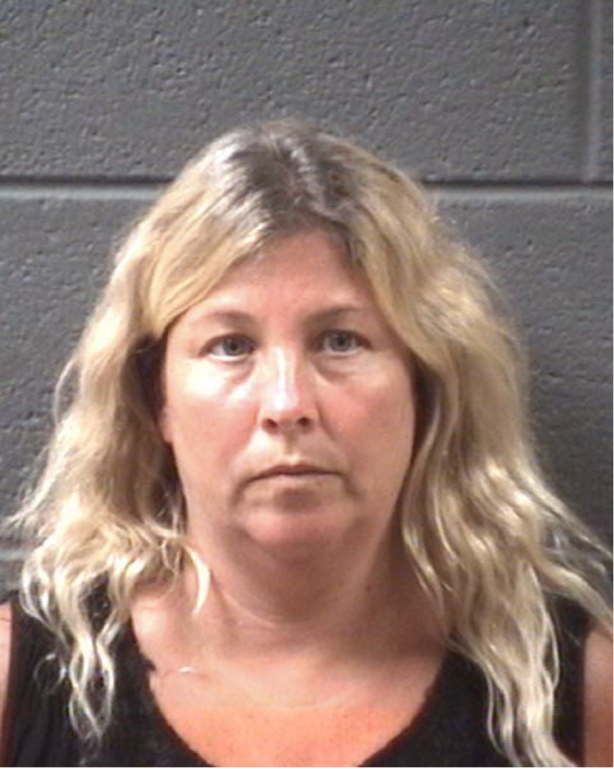 By 2011, multiple complaints about Jennifer Warren had reached the North Carolina professional licensing board. In the official document later filed against her, the board chastised her for her ethical breaches and said she wasn’t cut out for the rehab business. In fact, the more time patients spent around her, the licensing board wrote, the more likely they were to relapse. Warren “used and exploited her clients for her personal benefit” and “failed to maintain appropriate boundaries between herself and her clients,” the board wrote. The state eventually revoked her counseling license. The rehab fired her in 2011. A few days later, Warren struck out on her own, founding Recovery Connections. To pay for her program, she turned to a handful of employers always in need of workers: adult care homes. Rachel Thomas was working one night in 2016 at Candler Living Center, a home near Asheville for mentally ill and disabled adults, when a worker from Jennifer Warren’s program came sprinting down the hall. An elderly resident was gasping for air and repeatedly vomiting. Thomas discovered that the rehab worker – who was not trained to dispense prescription drugs – had given the patient the wrong medication. 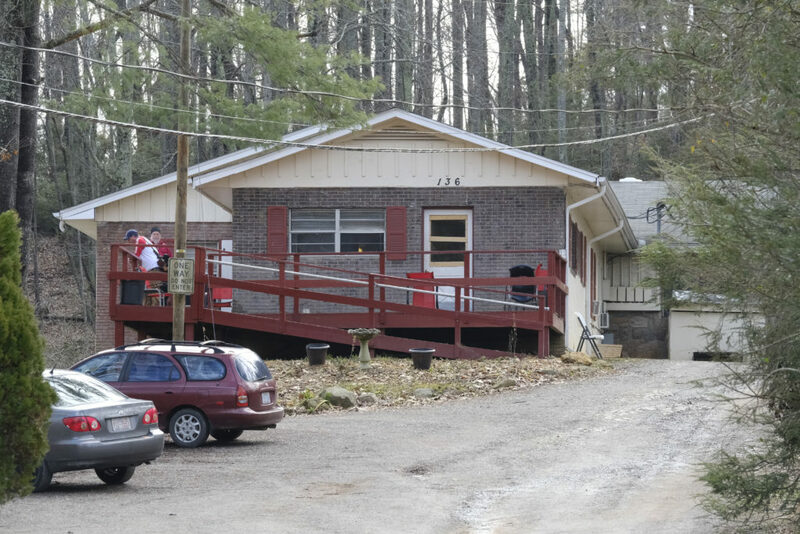 A former employee at Candler Living Center, a facility for mentally ill and disabled adults outside Asheville, N.C., contracted with Recovery Connections for workers. It houses nearly 30 residents. Participants from Recovery Connections worked in at least nine homes over the years. Some worked as janitors and cooks, but the majority worked as personal care aides. In North Carolina, personal care aides must receive at least 80 hours of training, during which they learn how to safely feed, lift and bathe patients. But many rehab workers interviewed by Reveal said they never received the training required by law. Some Recovery Connections participants also dispensed medication with no training, even though state law requires a special certification. 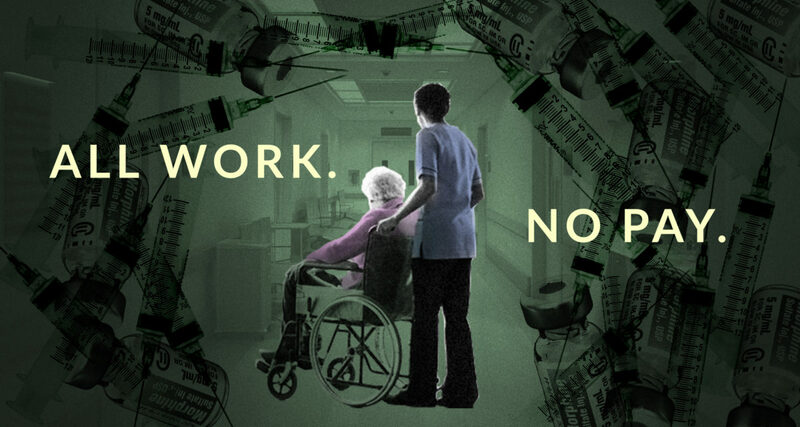 “I would die if someone like that was taking care of my mom,” said Renee Thayer, a former program participant who was assigned to work as a personal care aide in 2012. The rehab workers cost the facilities less than regular employees. 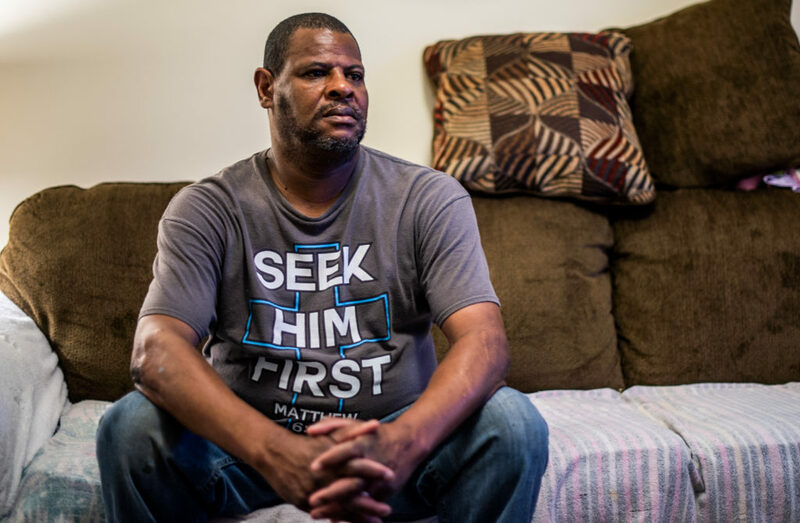 Some homes paid Recovery Connections the minimum wage – $7.25 an hour – for each worker and did not pay workers’ compensation, insurance or overtime, according to former managers and internal records obtained by Reveal. Disasters happened all the time. One employee at Hominy Valley Retirement Center would unlock the medicine cart and place pain pills into white paper cups. Then, rather than take the prescription drugs to the residents herself, she would order the rehab workers to pass out the pills while she slept on a recliner, said Charles Polk, a former participant who also dispensed the drugs. Fentanyl pain patches, which slowly release an opioid up to 50 times more powerful than heroin, were in particularly high demand. When it was time to shower patients in chronic pain, some rehab workers would peel off the patches and keep them for themselves. We’re trying to figure out how many work-based rehabs there are in the United States. Fill out this form if you know about one. And email us if you’re a journalist or news organization that wants to report on rehabs near you. At least seven rehab workers have been accused of sexual assault or misconduct with patients at the homes. Former employees said none of the allegations were reported to authorities, as required by law. Reveal could find no mention of any of the alleged assaults in thousands of pages of police reports, Adult Protective Services records and county and state inspections. The accused continued working or simply were transferred to other facilities. One male rehab worker was accused of sexually assaulting a disabled elderly woman in the shower at Candler in 2016. After the incident, the woman refused to let the rehab worker shower her. “I don’t want him to do it!” she cried while pointing at the worker, recalled Polk, who witnessed the interaction. In response, Candler barred male rehab workers from bathing female residents, according to seven current and former employees and participants. As of mid-May, the man still was working at the home. Chris Damiani, chief executive officer of the company that owns Candler and Hominy Valley, said his agency had never had problems with rehab workers. He said that none of the alleged assaults were reported to management and that his company was investigating the issues raised by Reveal’s reporting. “We do not take any report of abuse, neglect, assault, theft or drug use lightly,” Damiani said. 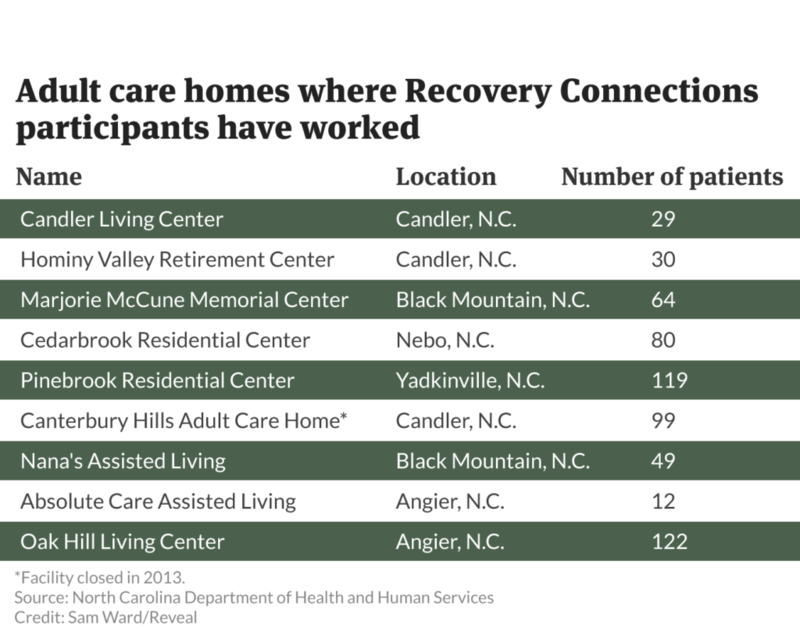 Cedarbrook Residential Center, an assisted-living facility in Nebo, N.C., houses 80 residents and used workers from Recovery Connections Community. In 2014, another rehab worker was accused of sexually assaulting a disabled woman in her bedroom at Cedarbrook Residential Center, the woman and four former employees said. Frederic Leonard, Cedarbrook’s owner, said the facility never filed a formal report with the county Department of Social Services because the facility conducted its own investigation and concluded that an assault had not occurred. He declined to provide more details about the internal investigation. The accused worker continued to work at the facility for several days. His presence terrified the patient who had accused him, she and a former employee said. 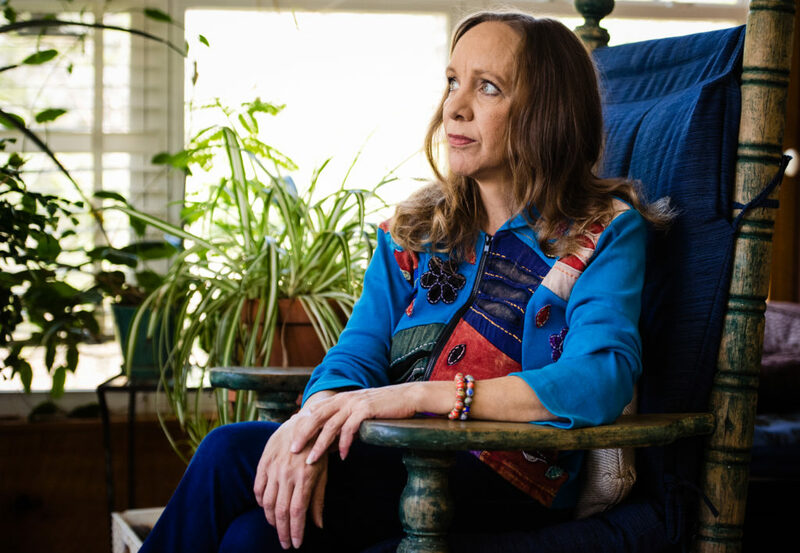 At Recovery Connections, Warren dealt with the alleged assault in her weekly therapy group. Rather than call police, she placed the man in the middle of a circle while his peers screamed at him and called him a sexual predator, according to two former participants. After the session, Warren sent the accused worker to another care home. Jennifer Warren collects a salary of about $65,000 a year, according to tax filings, but that money alone never seemed to be enough. For years, she has used her rehab’s nonprofit status as a vehicle for personal enrichment. Every day, a group of Warren’s clients said they were expected to make hundreds of phone calls to businesses and major corporations asking them to donate goods and services, according to state records, former participants and staff. They asked Tommy Hilfiger for designer clothes, Hilton for hotel stays and The Cheesecake Factory for free meals. Warren used the nonprofit to score free concert tickets to see her favorite bands. The donations were tax deductible and were supposed to go to program participants. But Warren got first pick of everything. Participants routinely called nail and hair salons to book free appointments. They said the salon visits would help rehab participants “build their self-esteem.” But Warren was the one who showed up. During one appointment, a hairstylist asked Warren how long she had been in the program, according to a former staff member who witnessed the interaction and records from a state investigation. When Warren admitted she was the founder, the stylist was livid. Warren also ordered program participants to sign up for food stamps, which former participants said she used to stock her own kitchen. In 2015, Warren pleaded guilty to financial assistance fraud for lying about her income and illegally collecting thousands of dollars’ worth of food stamps. She was sentenced to 45 days of probation. But participants say she continued to use their benefits to fill her personal pantry. While Warren got steaks, participants said they often were left with little more than Hamburger Helper, crackers and tubs of peanut butter. At times, they complained there was no food at all. But there was always money for animals. Warren spent more than $32,000 in program funds on animal expenses, according to the nonprofit’s tax filings from 2014 and 2015. She bought goats and sheep at animal auctions around the country. She had two arctic foxes, large ostrich-like birds called rheas and sugar gliders – small marsupials that resemble flying squirrels. Warren claimed they were for the rehab’s animal therapy program. “Some people collect stamps. Some people collect shoes. Jennifer’s got a thing for collecting animals,” said Hays, the former manager. Warren keeps dozens of them at her home in Black Mountain, participants said. Her bedroom is stacked with cages of toucans and other tropical birds. At one of Recovery Connections’ outposts near Raleigh, an entire barn is crammed with animals, according to participants. Guinea pigs tumble over each other in crates. Rats multiply by the dozens. Inside a dimly lit garage, monkeys languish in cramped cages. Several participants recalled burying dead llamas in the program’s yard. Even though the program had horses for its “equine therapy program,” participants said they weren’t allowed to ride them. Julia Harris said she was struck with one thought when she checked herself into the program in 2017. For some people, the worst part of Jennifer Warren’s program was not the work at the care homes or the personal chores – it was the therapy groups. The sessions usually occurred at Warren’s house. The group sat in a large circle of folding chairs and loveseats while each person took a turn in “the hot seat” in the middle. The other patients then cursed, screamed and hurled insults at the person for up to 45 minutes at a time. Participation was mandatory. People frequently broke down crying. Some participants said Warren and others seemed to relish it. Sometimes, Warren would black out the windows and keep a select group awake for days on end as they recited their life stories. If anyone started to doze off, participants said they were sprayed with water. Some people said they began to hallucinate. “It’s like CIA torture,” said Heather Fox, who left the program last year. Warren said the groups were meant to teach participants conflict resolution skills. They learned how to confront the harshest realities of their lives and move past it, she explained in a deposition for a 2010 lawsuit brought by a client who found her first rehab, Recovery Ventures, abusive. “Is there screaming involved?” the lawyer asked her. Warren’s therapeutic tactics are rooted in a drug rehab program called Synanon, which was founded in 1958. Studies have shown that the group sessions, which involve screaming and insults, can be catastrophic for people with poor mental health and low self-esteem. Law enforcement officials later denounced the program as a cult. Most participants interviewed by Reveal said they found Warren’s therapy sessions humiliating. Those who complained were punished with more work. They were forced to scrub floors with a toothbrush or cut grass with a pair of scissors. Some former participants interviewed by Reveal spoke positively about the program, saying Warren and her rehab were there for them when no one else was. Others left the program worse off than when they arrived. Some turned to drugs to cope. Many participants told Reveal that they fled into the mountains, sometimes in the rain or snow or in the middle of the night. Through all this, Warren demanded that people work around the clock because the more they worked, the more money they brought in for the rehab. “Y’all need to make some money,” Hays recalled her saying. North Carolina regulators were well aware of the abuse at Recovery Connections. Soon after Jennifer Warren opened in 2011, the Department of Health and Human Services received a complaint alleging that she was operating an unlicensed rehab program, in violation of state law. In North Carolina, any facility offering 24-hour treatment is required to be licensed. When investigator Joy Allison arrived at Recovery Connections to check it out, Warren greeted her warmly. Even though Warren was advertising her program as “substance abuse treatment” online and in brochures, she told Allison a different story: She was running halfway houses, not a treatment program. Allison accepted that explanation and then offered Warren a tip: If she said she was operating a “12-step, self-help” program, Warren could avoid state oversight completely. Warren used the new language on promotional materials but changed little else. Seven years later, that decision continues to allow Warren to operate her rehab free of government oversight. But the complaints haven’t stopped: forced labor, self-dealing and abuse. Each time, Allison gave the same answer. “I have continued to receive calls/complaints about this program but, have explained that they are exempt from licensure,” she wrote in an internal email in 2016. After questions from Reveal, the state health department finally began to crack down. On Wednesday, it banned Recovery Connections from sending participants to work as caregivers at adult care homes, potentially cutting off the program’s main source of funding. The department said Recovery Connections must be licensed as a staffing agency to continue dispatching workers. But the department said the program still is not required to be licensed as a drug rehab center. Recovery Connections has escaped accountability from other state agencies as well. Since 2011, the North Carolina secretary of state’s office has received complaints that Warren has pocketed donations meant for the program. Its investigators conducted a full investigation, speaking with business owners who had been defrauded by Warren and reviewing internal call logs and financial documents. But the agency ultimately dropped the case. Its reason: Participants never sent officials signed and notarized affidavits. Recovery Connections got to keep its charitable solicitation license and nonprofit status, which allows Warren to continue to collect tax-deductible donations from businesses and the public. In exasperated emails to authorities, the directors of several licensed rehab centers expressed their dismay that Warren kept dodging accountability. “This individual believes that the rules do not apply to her, no matter how many warnings or disciplinary actions are taken,” David Martin, who had co-founded Warren’s first rehab with her, wrote to the attorney general’s office in a July 2012 email. Martin ticked off her latest transgression. Warren “spent the entire month of June at the beach” and used the rehab’s food stamps for herself, he wrote. Was this something the attorney general would pursue? An investigator promised to look into it, but nothing came of it. The North Carolina Department of Public Safety had its turn to crack down around the same time. Probation officers began hearing complaints in 2012 from people who had been ordered by the court to go to Recovery Connections. In internal emails, probation officials agreed that the program was unsuitable for offenders and griped about Warren’s sordid history. But they continued to allow probationers to attend. “We are not responsible for policing the agencies available to the offenders,” one administrator wrote in an internal email. Following questions from Reveal, probation officials finally took action against the rehab. “We have determined that the Recovery Connections locations do not align with our mission, vision, or goals,” the department wrote in a May 8 memo. Going forward, no probationer will be allowed there. But hospitals and short-term treatment centers continue to send people to the program. So do social workers at state-funded detox and psychiatric facilities. Recovery Connections is always willing to accept those who have nowhere else to go. Jennifer Warren is waiting for them.